RECENTLY UPDATED kitchen and flooring! Beautiful corner lot with a FENCED yard and mature trees. Three bedroom, two bath with Master bedroom on the backside of the house and other two bedrooms off of the foyer. Vaulted ceilings in living room and front bedroom. Formal dining room and breakfast nook. Large deck off the back that has access from the Master bedroom and the main living area. 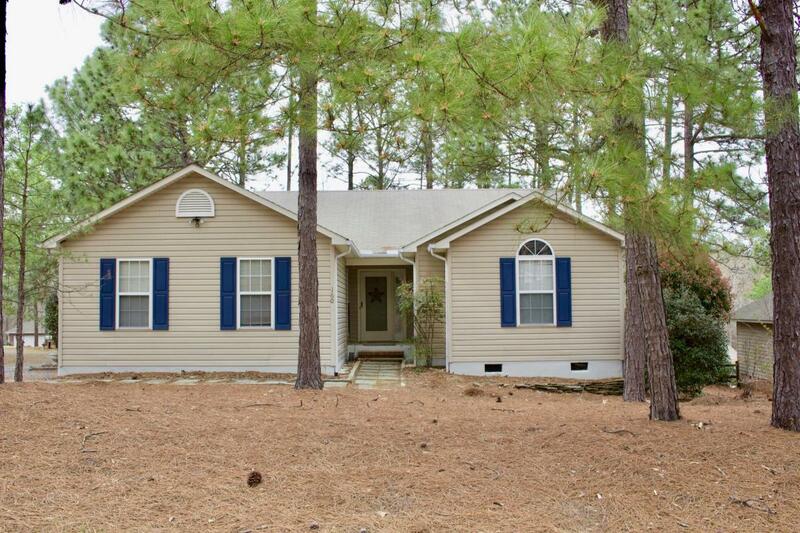 Perfect location for all with easy commute to Ft. Bragg, Southern Pines shops, and Pinehurst area. Pets upon owner approval. Don't miss this one - schedule to see today! Available immediately.